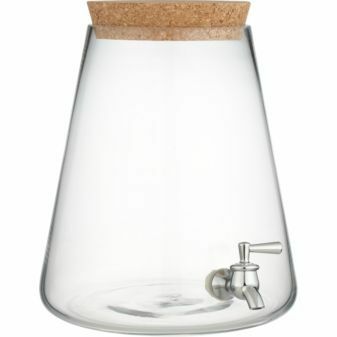 Beverage Dispenser from CB2. Gloss body, cork top, plastic spigot with silver-tone plating. Really nice look, except for the plastic spigot. If they would have done a metal spigot, I would definitely buy this and use it for Mojito’s.